Kazuki Kato (加藤和樹, Katō Kazuki, October 7, 1984) is a Japanese actor and singer from Nagoya, Aichi Prefecture. 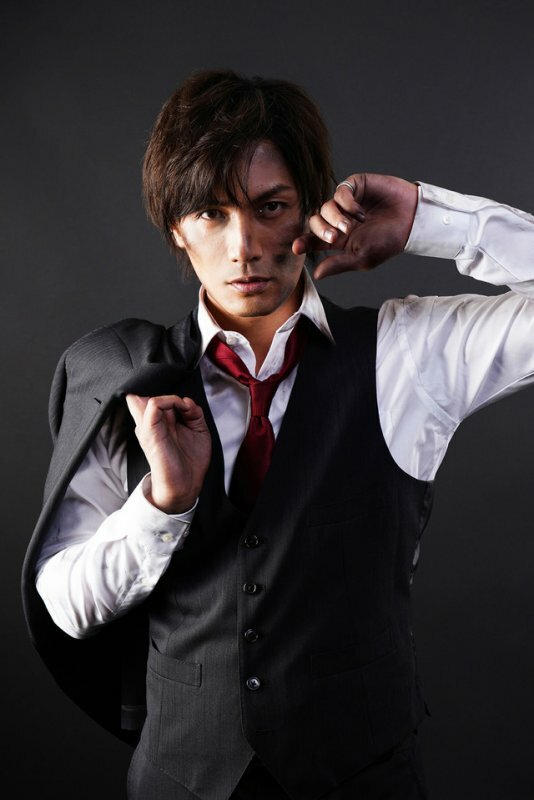 He is known most notably for his role as Daisuke Kazama aka Kamen Rider Drake in Kamen Rider Kabuto and Keigo Atobe in The Prince of Tennis musicals. Kato Kazuki grew up in Nagoya, and moved to Tokyo when he was 18 years old to pursue a career in entertainment. He's told the story of those first years in interviews, that he initially had no clear idea of exactly what it was he wanted to do, and that it was a difficult and frustrating time. The turning point came while listening to Sariyuku Kimi E by The Babystars. The song touched him deeply, and he realized he wished he could touch other people in a similar way. In 2005 he was cast in Musical Tennis No Oujisama as Atobe Keigo, one of the most popular characters in the series. Fans loved him, and it was arguably his breakthrough, because through Tenimyu he built an initial fanbase and it opened up many new oportunities, among them being able to pursue a musical career alongside acting. He released his first mini album, Rough Diamond, and held his first concert in April 2006, and in what can be assumed was a happy turn of events, members of The Babystars worked with him in both. After two singles and a tour, Kazuki released his first full album Face roughly a year after his debut as a singer. After the album's promotional tour and an anniversary concert, it was announced that Kazuki had signed with Avex, one of Japan's leading record labels. At the time I write this, he has released his first single with Avex, which made the top 10 in the daily Oricon ranking. He has written the lyrics of several of his songs, has gone on tour twice, and with each release he continues to find his own voice while defying expectations. Although Kazuki himself is very quick to admit that he still has a long way to go, it can be safely said that this is a very promising start to his career, and that he will have the chance to touch people through music in the way he wished many times over. [Jpop] Kazuki Kato To Release First New Album In 9 Years Titled "Ultra Worker"